This entry was posted in Uncategorized and tagged Georg Feuerstein, God, meditation, Paramahansa Yogananda, Sivananda, spirituality, Yoga. Bookmark the permalink. Thank you. We are in danger of yoga being misunderstood and even trivialized. I find that students want the physical work. I also find that if I ask they will say that they want the spiritual work as well. I take a few minutes at the beginning of class for a quick lesson from the Yoga Sutras, and then we practice meditation for a few minutes. The end of class is spiritual – perhaps referring to ahimsa or some other principle. As long as I present it as an offering and not as a mandate from an authority, I find that the spiritual component is well received. Students are thirsty for what the greater yoga has to offer, in my experience. I find this very encouraging. If we try, we can teach the deeper yoga. But in a society that seems so ideologically divided, just leading yoga inspired exercise might be an appealing path of least resistance. 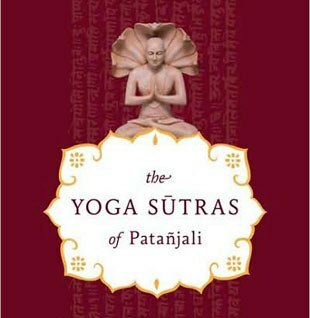 As I only know a little about Yoga (I am more into Taoism) this was very interesting to read. I agree with your points, but the “problem” is that most people in the West who are interested in yoga are stressed and simply look for a new way to find peace/relaxation. In fact, loads of people are not simply stressed, but they are at their absolute limit – in our “modern world” they seek a quick solution. They want something to feel better (best right away) – I guess that’s the reason why most are interesteded mainly in the “physical stuff” and not the philosophical side. Hi Prof Q – yes, yoga-inspired practices are probably a better name for yoga exercises. You point out we go through this external exercise of practice instead of this internal one – which is really what Yoga is about. I think more of yoga should focus on the spiritual aspects and the mind, instead of the body – which many yoga ‘classes’ and ‘yoga teachers’ tend to do. David, Thank you for sharing your experiences as a fellow teacher. I appreciate it. PS, your blog-site is lovely! As I get more focused on Yoga, I am seeing more of the connections that have been there all the time. I came into it via the postures, but am seeing more the deeper I go. I see the analogy of Yoga to exercise like church to a community group. People go to church and a community group for connection, but there’s a spiritual aspect to a congregation.